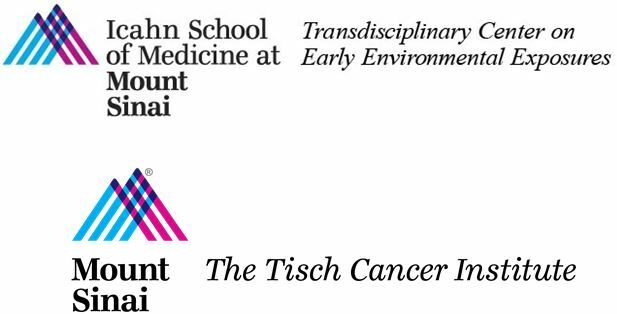 The Tisch Cancer Institute (TCI) of Mount Sinai and the Mount Sinai Transdisciplinary Center on Early Environmental Exposures (TCEEE) seek to support innovative research focusing on the role of the environment on cancer biology and cancer prevention. One $50,000 grant or two $25,000 grants will be awarded. Both basic research and population science applications are encouraged. Please note that the definition of “environment” refers to environmental factors including metals, industrial solvents, endocrine disrupting chemicals, air pollution, pesticides, noise, light, temperature, etc, but DOES NOT include nutrition, stress, alcohol, or drugs of abuse. However, an application dealing with any of these issues and an accepted environmental factor will be accepted. For example, a proposal on gene-chemical interactions, mixed social environment-chemical interactions or nutrition-chemical interactions will be accepted. Applications must be submitted by either a TCI member or a TCEEE member. Please note that applicants may only submit a maximum of two applications. To apply, the following material must be received in a single PDF file to MSSMP30@mssm.edu by the application deadline Monday, May 6th, 2019 (11:59 pm). Please indicate in the subject line “April 2019 TCI/TCEEE Pilot Project Grant Application Submission”. To view application documents, please click here. Biographical Sketch: Include one for each PI and co-Investigator. A mix of Center members and non-members is accepted. Following NIH format, including past training and academic appointments followed by a short paragraph on research expertise and role in the project. List up to 15 relevant publications. Biosketches may not exceed 5 pages for any investigator. Biosketches, budget items, and references will NOT count towards the 5 pages, and all items should be submitted as one single PDF.